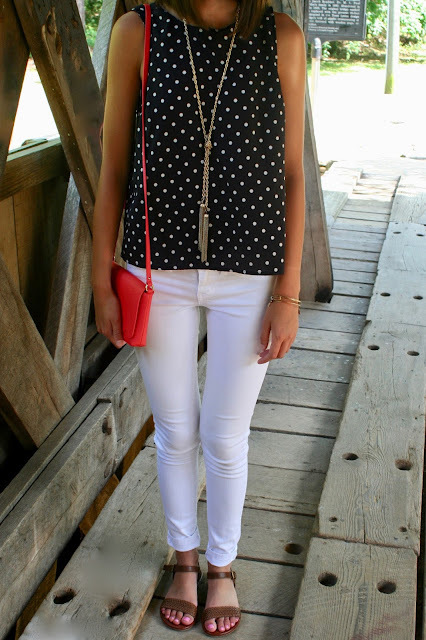 Polka dots has always been one of my favorite prints. 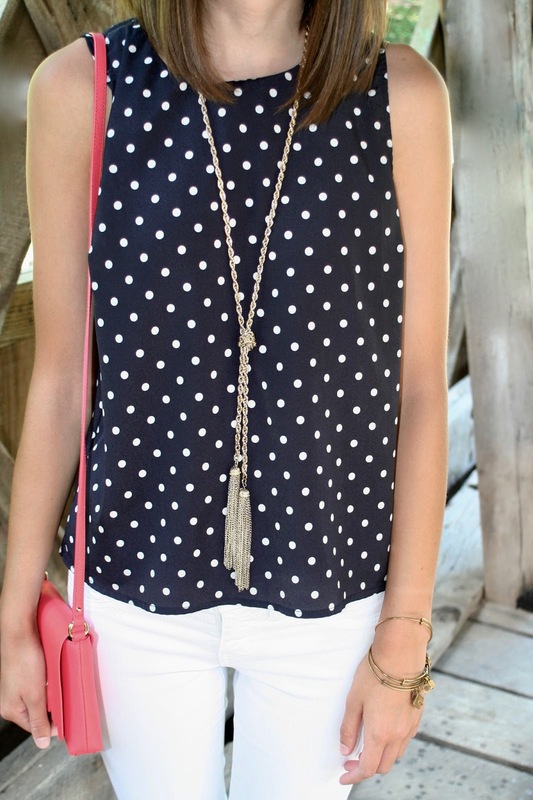 I love how it's a classic but also a fun print. 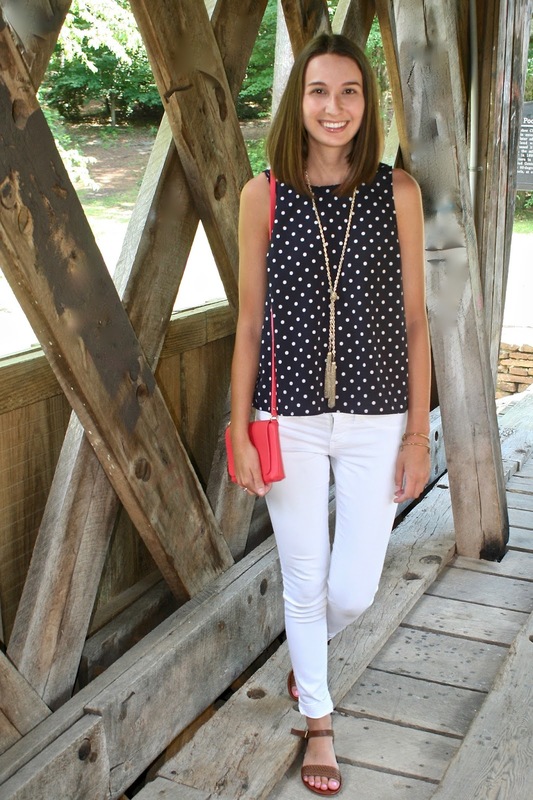 When I was debating what outfit to wear for these pictures I was between this polka dot top and polka dot shorts, and I'm also wearing a polka dot shirt right now. If that doesn't show my dedication to the print, I don't know what does. 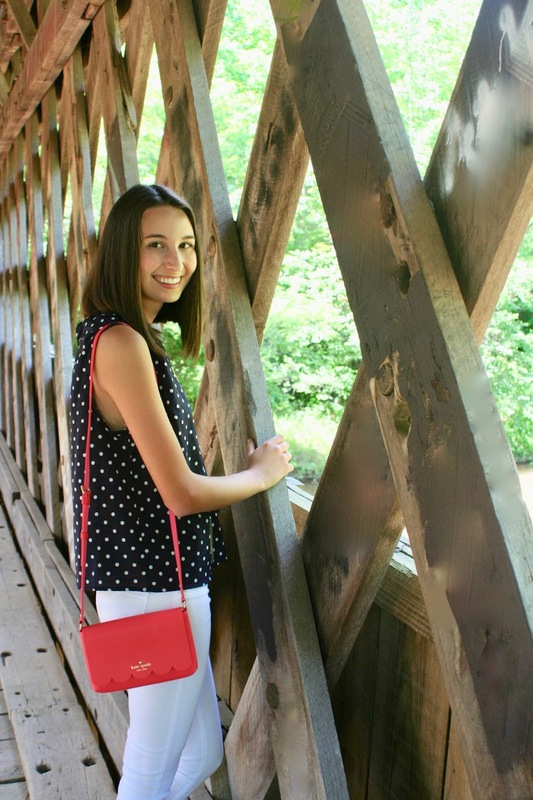 Even though the top is a print; overall, this is a pretty simple outfit, so I added my fun bright coral Kate Spade cross body and some fun gold jewelry. I love how the perfect accessories can help make an outfit so much cuter! 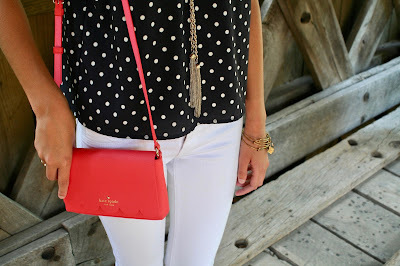 But the perfect outfit is nothing without gorgeous photos to highlight it. 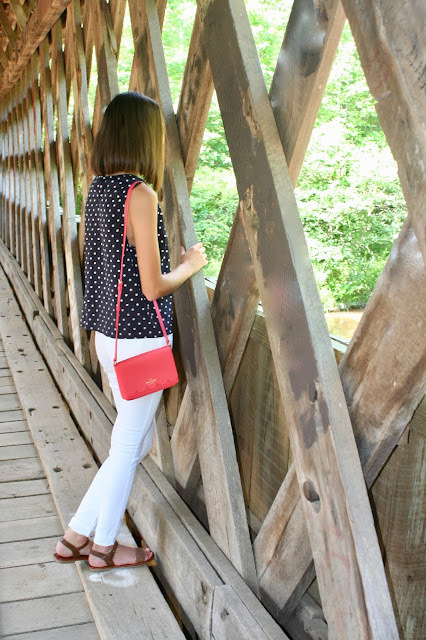 One of my goals this summer is to improve my blog and with that comes better blog photos! I enlisted my sister as my blog photographer for the summer and together we are going to work on learning how to take better photos. For now, I hope you all enjoy our first attempt at pictures, I promise they will get better. With that said if you have any tips at all for photography or editing, I would love to hear them! We might have to pick a pillow for you!